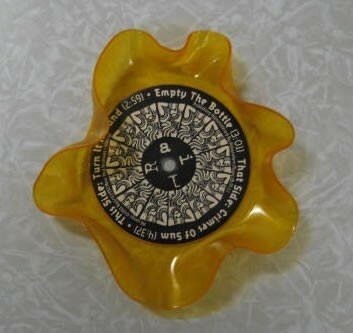 Record bowl made with a 7" colored vinyl record Yellow Clear Vinyl Rail Side A:Turn It Around Empty The Bottle Side B: Crimes Of Sum (bowl inside) New Red Archives Record Label Logo (bowl outside) There is a hole in the bottom. 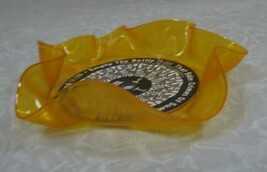 for use with solid and dry items only. Wipe clean with a damp cloth, not dishwasher safe. 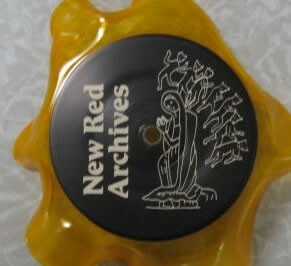 More colors and sets available - see other listings ****Special Deal - Buy up to 10 7" record bowls, alone or in sets (sets count as 3 bowls) pay shipping for only one bowl to your destination. Wait for a revised invoice.